Girly-Girl Partea’s is your premier choice for themed kids birthday party planning in Greensboro, North Carolina. From princess to spa parties, we have all of your party hosting needs covered. We handle set up to clean up, and everything in between. Trust our talented team to make your Greensboro birthday party SPECTACULAR! Why throw a cookie cutter party? Your child is special and their party should be too! We will plan the PERFECT party with you in mind. Do you want a perfectly themed party like the ones you see on Pinterest? Look no further! We’ll deliver a party that’s brag worthy and sure to leave all your guests in awe! Our goal is to allow busy moms the opportunity to sit back, relax and enjoy the special day just as much as everyone attending. Our parties are designed for ages 3-16, for both boys and girls, and are fully customizable. We offer so many exciting ways for our clients to plan the perfect birthday party. 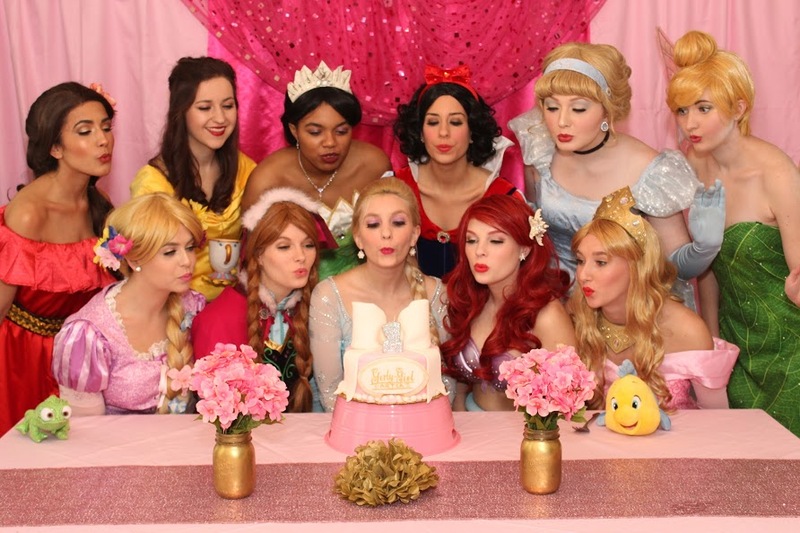 We can handle every aspect of your party from the decor and activities, to high quality princess character entertainment. Whether you want a 30 minute princess visit or a fully planned party package, hire us to make your child’s birthday party SPECTACULAR.